The chemistry and physics involved in complex machined parts requires a significant level of education and industry knowledge in order to successfully navigate. As a result, the gulf between machined parts manufacturers with engineering expertise and those without is a wide one, and can mean the difference between parts that fail and parts that maximize your return on investment. Here’s what you need to know in order to get exactly what you need from a parts manufacturer. You know your business better than anyone, but even the most competent business managers rely on knowledgeable vendors to augment their services and keep their equipment running. When working with a machined parts manufacturer to make a part that will suit a unique application, it’s perfectly reasonable to expect those manufacturers to be able to bring use their industry expertise to troubleshoot and spot problems before they arise. However, the reality is that the industry does not always meet these expectations, and plenty of machining operations will simply follow the proposed schematic without looking for ways to ensuring it is a workable plan. In order to receive the kind of collaboration that leads to innovative and cost-effective solutions, it’s necessary to contract with a complex parts manufacturer with enough engineering expertise to create parts that will last under specific environmental stressors and stay within your budget. At Allis Roller, we thrive on the difficult cases and excel at providing exceptional quality and attention to detail to the complex projects we take on. Innovation and excellence is what we expect from our team of four engineers with masters or bachelors degrees in engineering, two of which were journeyman machinists before becoming degreed engineers. Together, they have a combined 100 years of engineering expertise, and each member follows sound engineering science, as well as common-sense knowledge only gained from years of operating CNC machining equipment. Suggesting the appropriate machine and welding tolerances, which leads to the best and most cost-effective production processes, is standard practice for us. 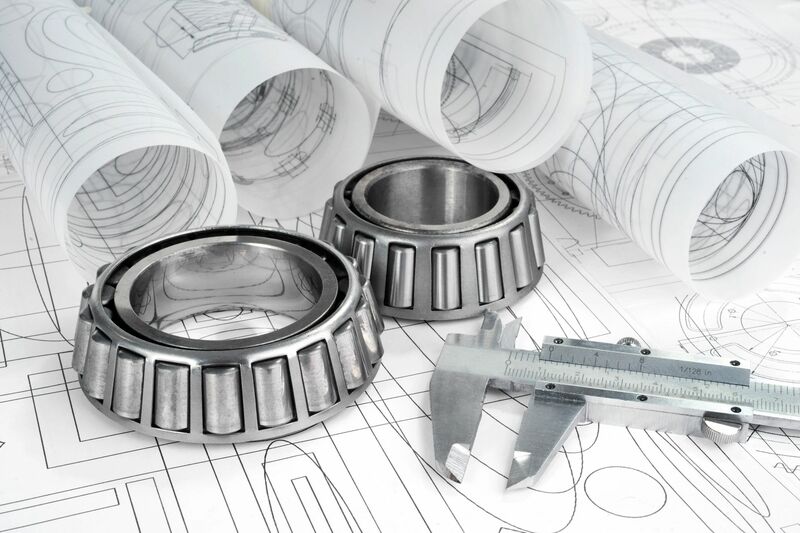 The results of our collaborative engineering approach speak for themselves, and consistently yield the appropriate materials, tolerances, and processes necessary in parts that meet your criteria at the best possible cost. Allis Roller engineers also regularly leverage their credentials in designing proprietary machining and welding processes like induction heating for shrink fit assembly and preheat of welds, and the vulcanization of wrapped SBR rubber to a steel core roller. You get more from your machined parts when you work with Allis Roller. For more information on machined parts engineering, or the capabilities of the Allis Roller team, connect with one of our industry experts via the Contact page.